I hate to toot my own horn, but toot tooooot. 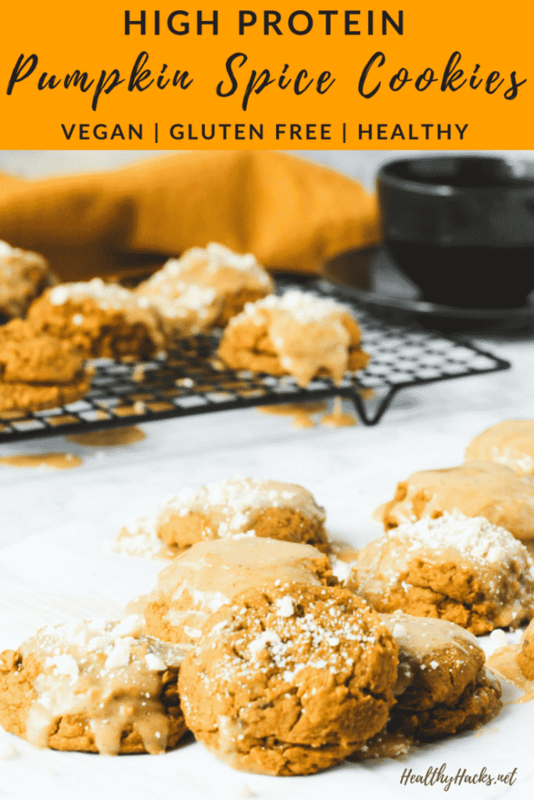 These high protein pumpkin spice cookies are THAT good! 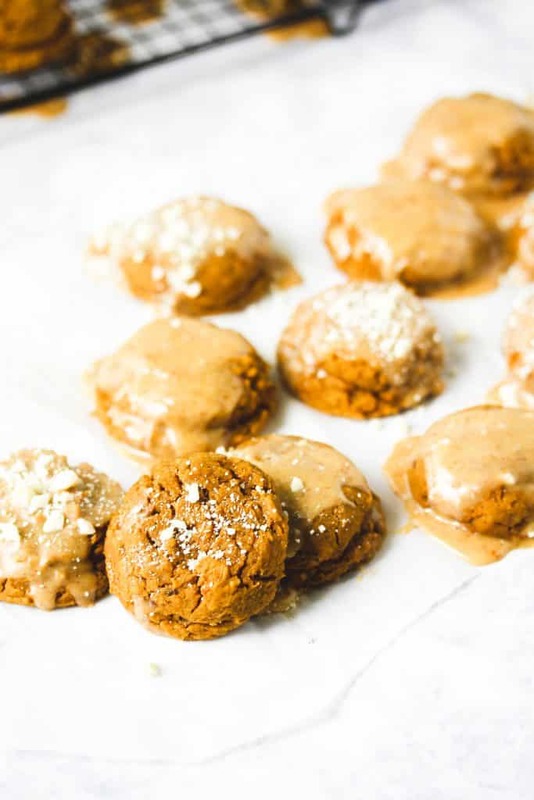 And if you don’t fall in love with these soft, protein packed, pumpkin spice cookies, then I’m pretty sure nothing will satisfy you! 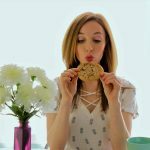 These cookies have got the taste part down. 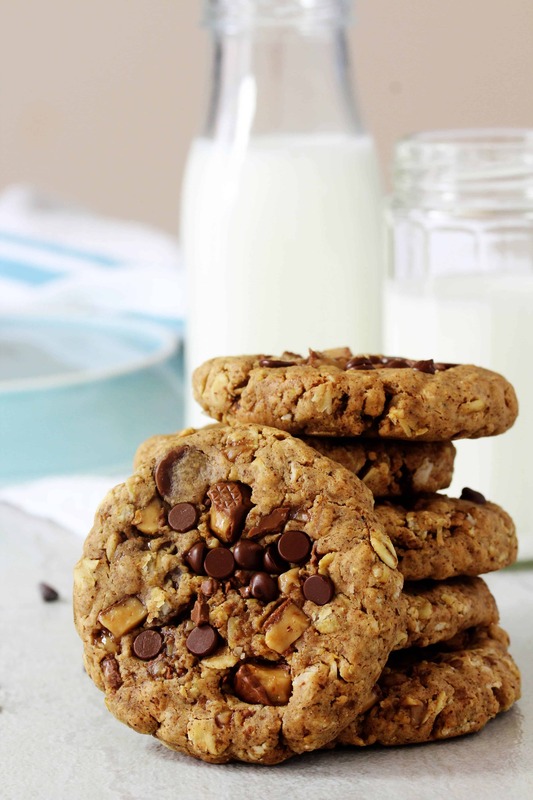 And, for me, chewy cookies always win out over crunchy, and these cookies are melt-in-your-mouth soft! Like, no kidding. You don’t even need teeth to eat them because they’re like little puffs of pumpkin clouds. 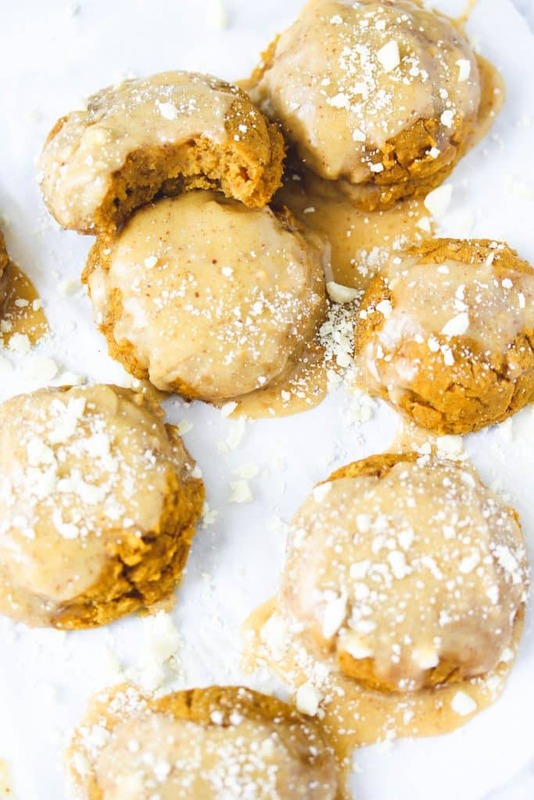 Little pumpkin clouds that can be whipped up with a food processor and a wooden spoon. 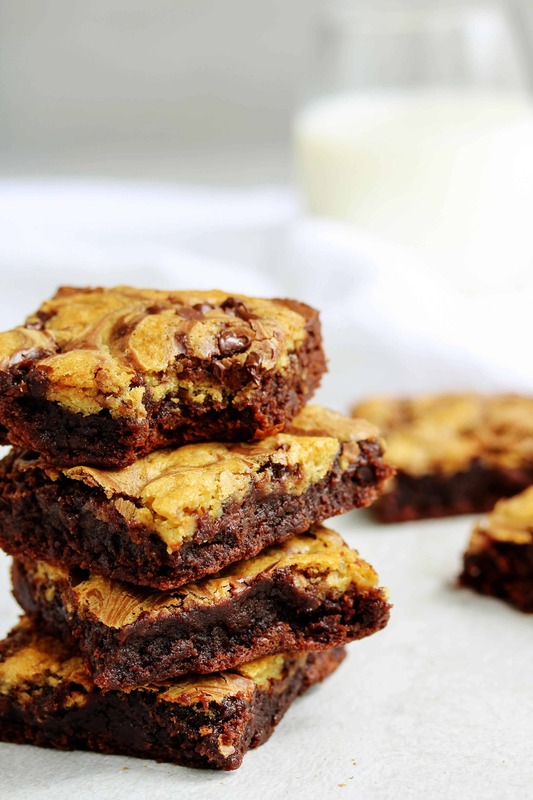 Who likes a dessert that doesn’t require a ton of fancy equipment?? 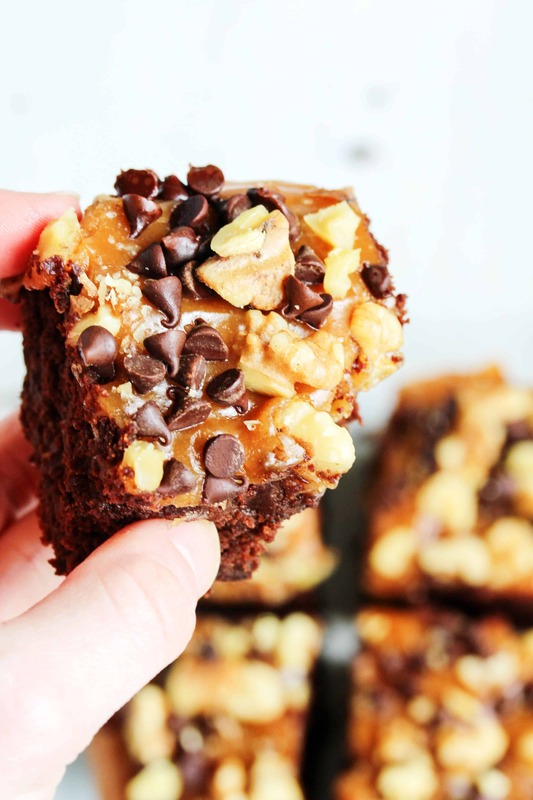 This girl But really, get your handful of ingredients together and let’s get to baking. 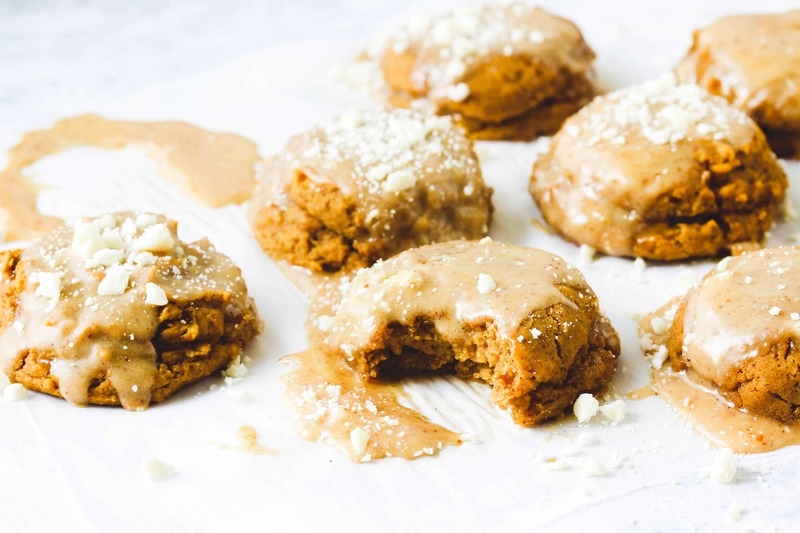 Pureeing pumpkin, dates, yogurt, and chickpeas together makes up the base of these protein pumpkin spice cookies. I’ve mentioned before how much I love my little Ninja food processor, because it’s not big and bulky and is also pretty cheap. For this recipe, I also love using Eden Organic chickpeas because they’re one of the few canned goods that don’t have BPA in the lining. I found it easiest to use an ice cream scoop to scoop the dough onto the cookie sheet trays, but two spoons will work, as well. You’ll need one to scoop out the dough and the other to help scrape it off the first spoon and push it onto the tray. But, hands work, too! 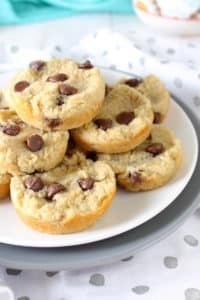 And cookie dough covered fingers just means left over cookie dough for you to eat, right!? 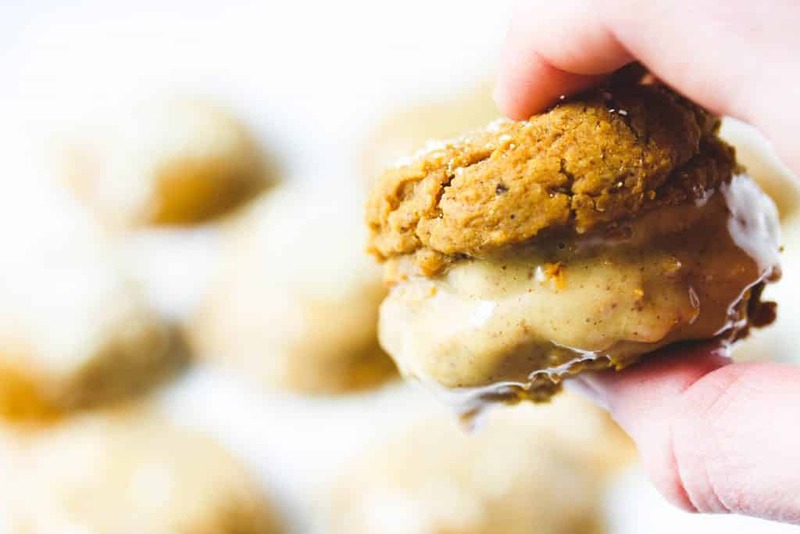 And once the pumpkin spice cookie dough batter is prepared, you’ve basically made the creamy icing tool! 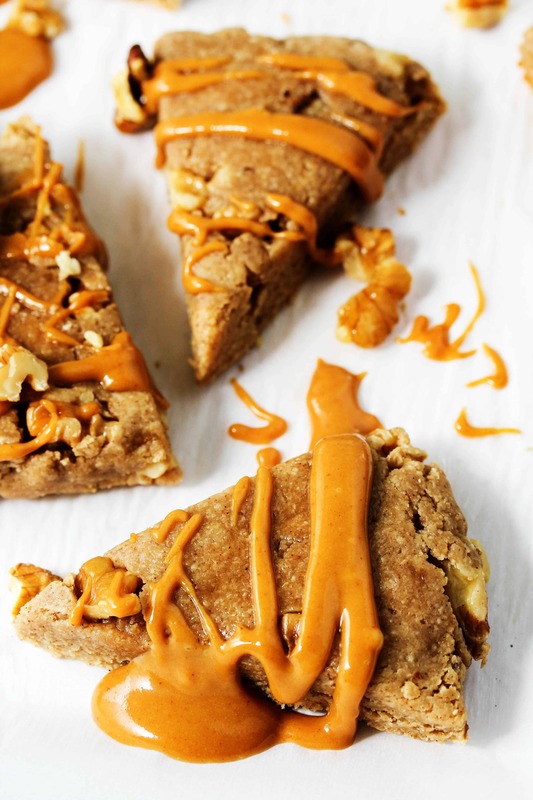 Just reserve a heaping 1/4 cup of the prepared batter, whisk in some cashew butter, and viola! 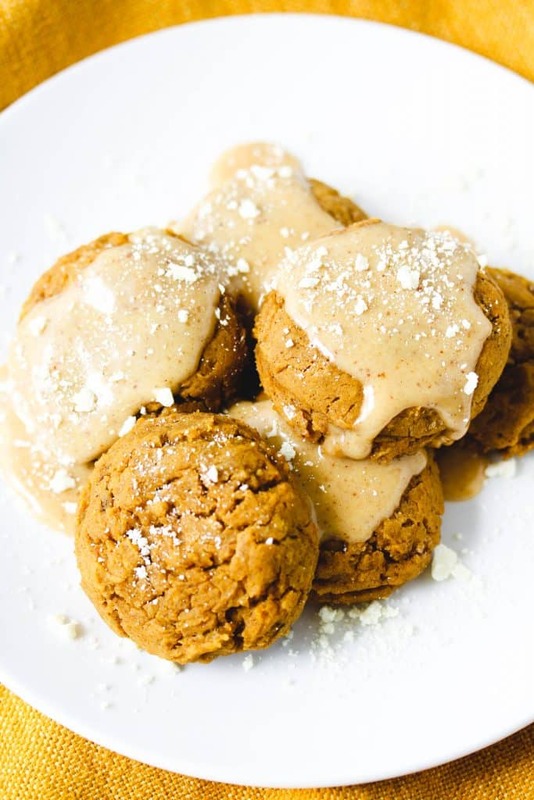 You’ve got a pumpkin spice “cream cheese” frosting for your high protein pumpkin spice cookies! Preheat the oven to 350 F and line 2 cookie sheet trays with parchment paper. In a food processor or blender, combine the pumpkin, chickpeas, yogurt, dates, almond butter, apple cider vinegar, and vanilla extract until completely smooth. 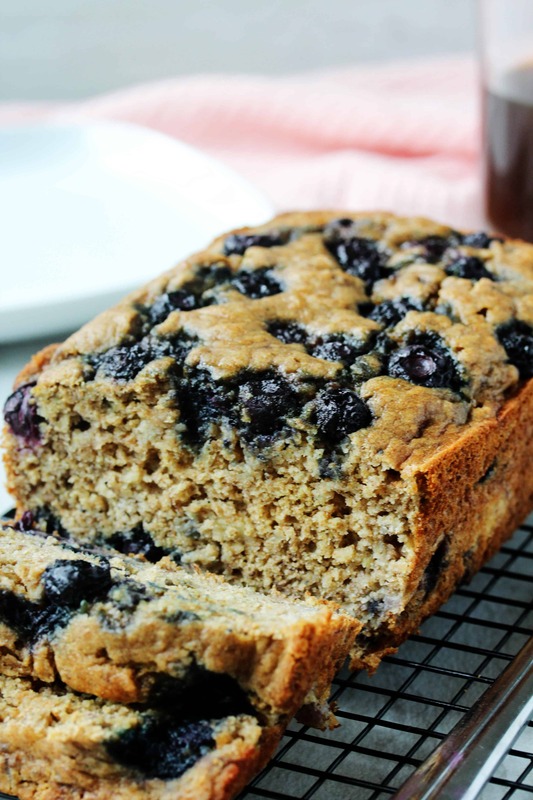 In a large bowl, whisk together the protein powder, oat flour, sweetener, baking powder, baking soda, spices, and salt. To the dry ingredients, add the pureed pumpkin mixture and stir until everything is combined. Reserve a heaping 1/4 cup of the batter for the icing. 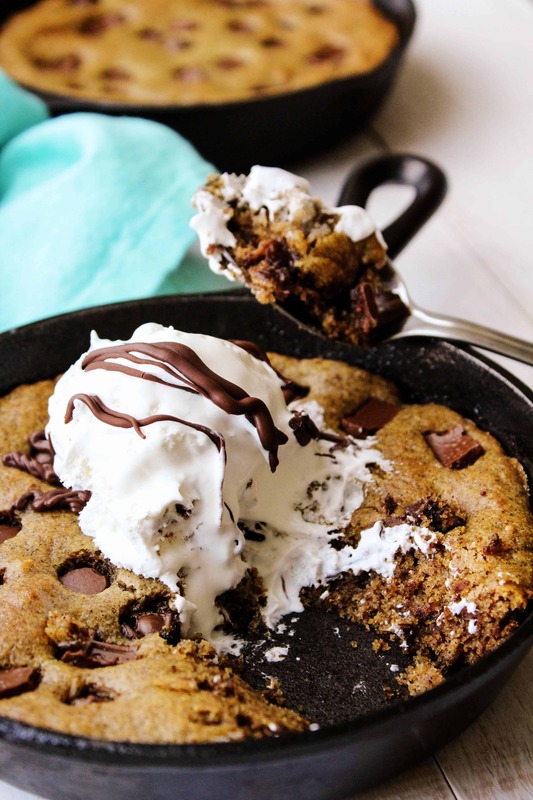 Using an ice cream scoop or two spoons, scoop out about 2 Tbsp of dough onto the prepared cookie trays, placing each one about 1" apart. Bake for 14-16 min. 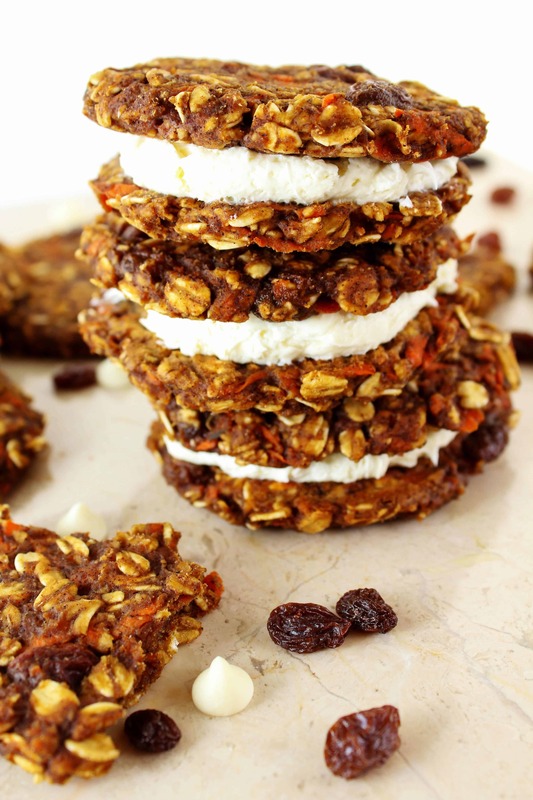 or until the edges of the cookies are firm and the center in springy to the touch. 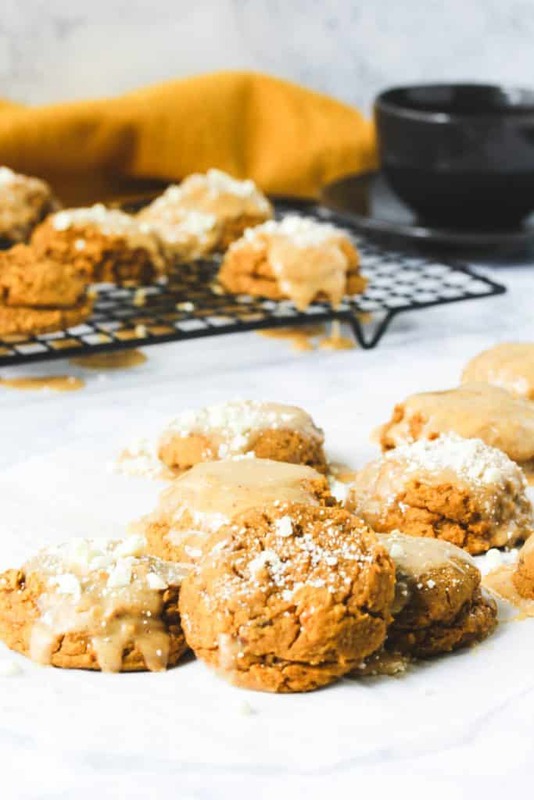 For the icing, with an electric hand mixer (or by hand with a whisk) combine the reserved cookie dough, cashew butter, and sugar until smooth. Allow the cookies to cool completely, then ice the tops. 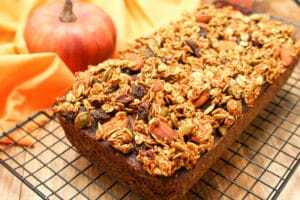 Take a bite into ppumpkin spiced heaven!